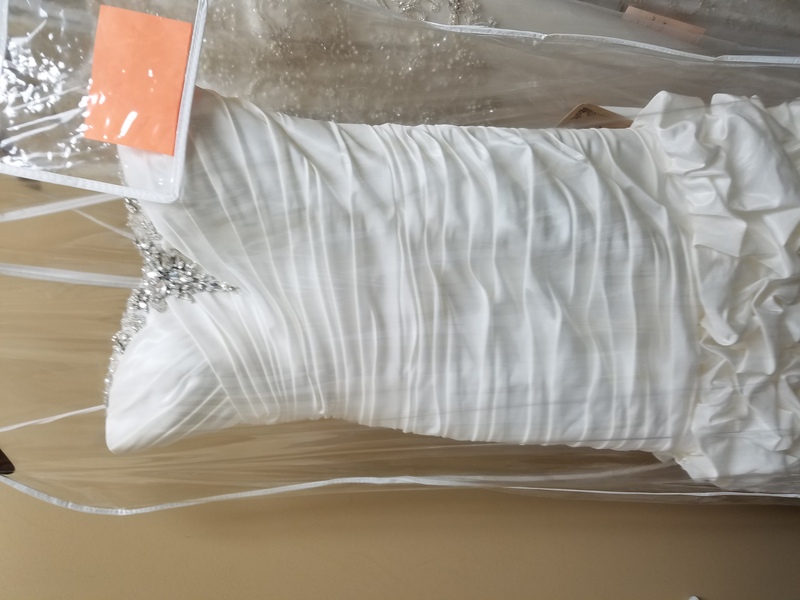 Beautiful size 10 Alfred Angelo gown Ivory in color with corset back. Taffeta material. Preservation Method: New in bag.